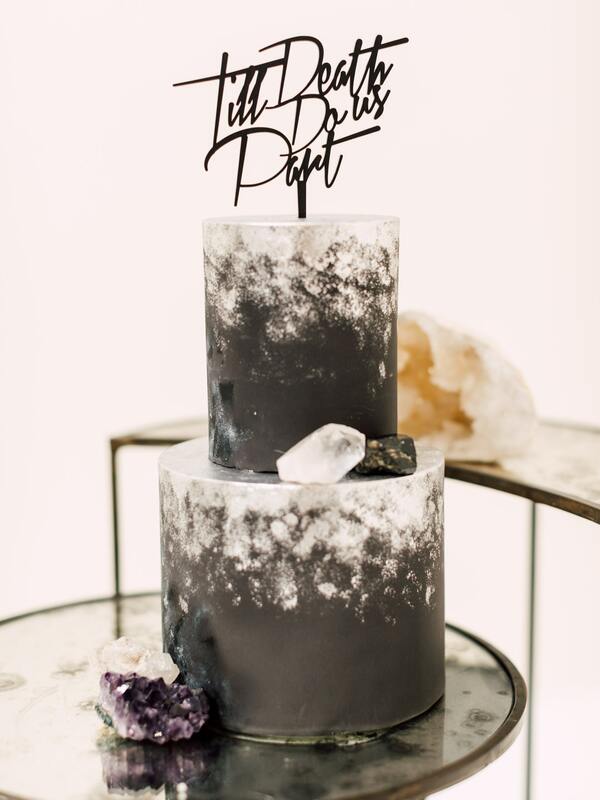 Perfectly edgy, and depending how you dress it up, Goth! 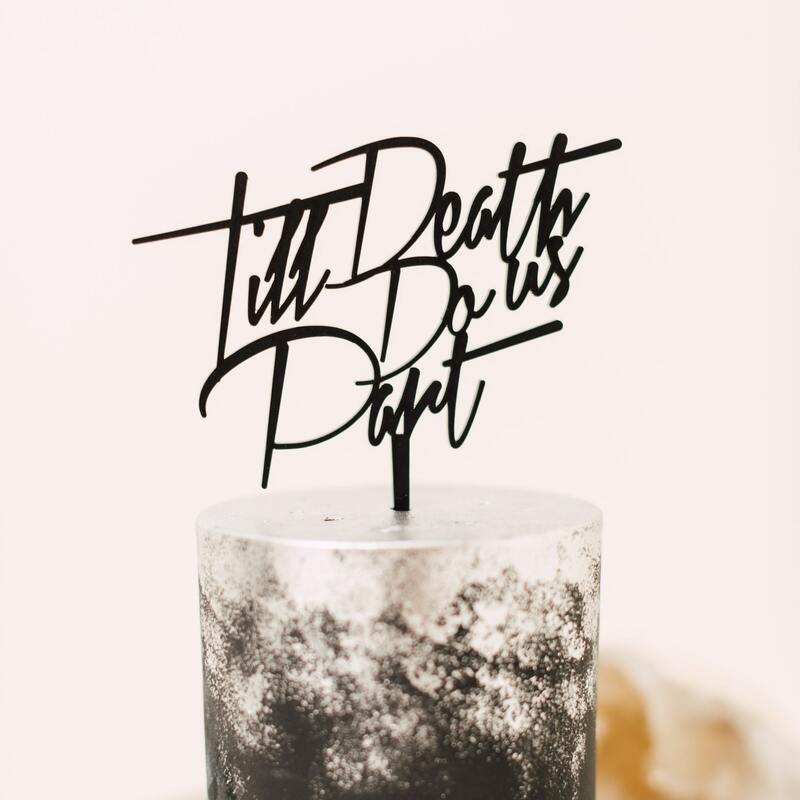 This rad cake topper will give your cake that extra touch of wedded bliss. Gorgeous and badass! Can't wait to see this topper on my wedding cake. Will update with pics day of! Such an amazing, quality item! My little anniversary cake surprise for my fiance was a success! Thank you so much for the excellent communication before and after the sale, and for changing my order even after the sale.